Four questions to test your knowledge on pre-harvest intervals. 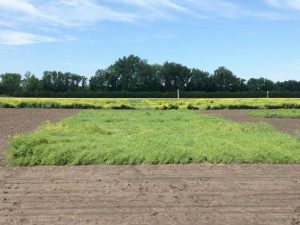 The swath timing decision becomes more difficult in crops with plants at multiple stages of growth. 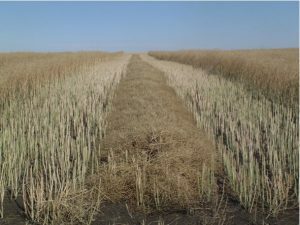 Here are some tips to help with the swath decision on these fields…. Improved moisture in some regions has extended flowering. Some fields have been at “full flower” for what seems like weeks. 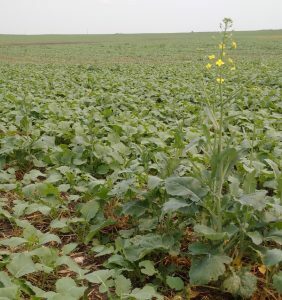 Highly variable crops may also be at full flower or their “most yellow” — other terms for 50% flower — for longer than typically expected. This does extend the sclerotinia stem rot risk. 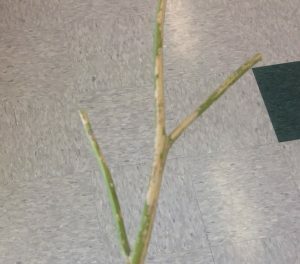 But that “risk” may still not be high enough to warrant a fungicide spray — given the risk was so low before and that late applications tend to have a reduced benefit for yield. When it comes to maintaining Canada’s reputation as a high quality canola supplier, everyone in the canola value chain has an important role to play.